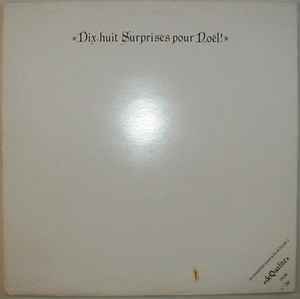 Various ‎– Dix-Huit Surprises Pour Noël! A6 –Xavier Le Masne Victor Ou Agathe? B5b –Fred Wallich Ça Va? Limited edition, 1000 hand-numbered copies. Released for Christmas Day 1981.